When cell signal coverage is spotty, Wi-Fi calling can get your call or text through anyway — but it's not available for all phones and all phone carriers. Now, AT&T customers are getting on board with Wi-Fi calling support on recent Apple devices running iOS 9 or higher. Supported devices include the iPhone 6s and 6s Plus, as well as the earlier iPhone 6 and 6 Plus. If you have any of these iPhones, activate Wi-Fi calling by going to Settings > Phone > Wi-Fi Calling, and then go through the prompt questions. Already supported by T-Mobile and Sprint, Wi-Fi calling lets you use your Wi-Fi connection to call and text in areas where cellular reception is poor. When Wi-Fi calling is enabled, your supported device automatically switches to Wi-Fi if cellular signal strength is weak, such as in basements or secluded office spaces. Wi-Fi calling on AT&T is free, but international calls and text messages are charged to your current data plan. AT&T's Wi-Fi service was recently approved by the Federal Communications Commission (FCC). The service is restricted to AT&T customers in the U.S., Puerto Rico and the Virgin Islands. In contrast, T-Mobile allows its customers to make Wi-Fi calls wherever Wi-Fi is available nearly anywhere in the world. T-Mobile has been offering Wi-Fi calling and texting to its subscribers since 2007, with 23 phones currently supported, including the iPhone 6s and 6s Plus, Samsung Galaxy Note 5, Samsung Galaxy S6 Edge Plus, LG G4, HTC One M9 and the Microsofit Lumia 640. Sprint began offering Wi-Fi calling earlier this year to devices running at least iOS 8.3 and to some Android devices that support Wi-Fi calling. Although Verizon has confirmed that it will roll out Wi-Fi calling support some time this year, the company has prioritized improving its 4G LTE network and expanding its coverage so customers won’t have to rely on Wi-Fi calling in locations with poor cellular reception. 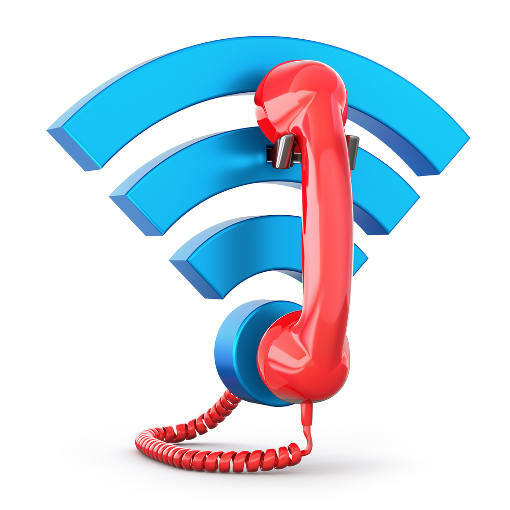 Are you taking advantage of Wi-Fi calling? Find out what Wi-Fi Calling is and why you should be using it. If your carrier doesn't offer Wi-Fi calling, learn how to get better cell phone reception at home.